Having just fully retired from Arabtec last year, Tom Barry spoke exclusively to Lynne Nolan about his time at the helm of the UAE’s leading construction company. 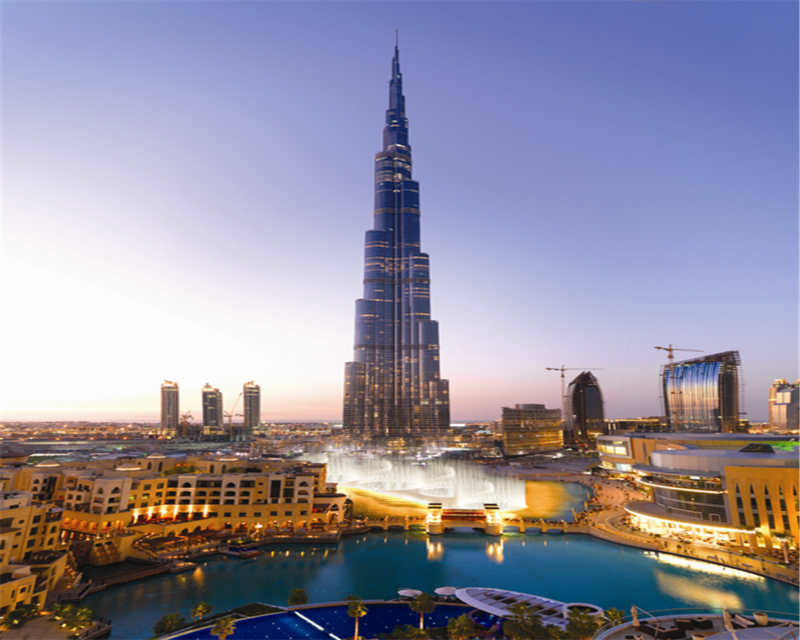 Undoubtedly, the project Arabtec and I are most proud of is Burj Khalifa. When we took this on, we knew that no building had ever been built to such a height and new world records would be set for many of the techniques and technologies used, let alone for the height factor. As CEO of Arabtec, Tom Barry witnessed the company’s progression from humble beginnings to its completion of a diverse portfolio of major construction projects in all sectors of real estate and infrastructure. Tom, 66, recalls how his early interest in civil engineering was “really a family thing.” Influenced by his father, who was a very successful engineer with his own consultancy practice in Dublin and his elder brother, a civil engineering graduate, Tom graduated from UCD in 1969 with a BE (degree) in civil engineering. Unlike his father and brother, Tom was attracted to the construction sector, rather than the professional or consultancy side of engineering. Drawn to the opportunity to become a chartered engineer and gain a British qualification, “as it was more recognised throughout the world, as even then I had in mind that someday I would go abroad to work,” he took up a job offer from Sir Robert Alpine & Sons in the UK. Starting out as a site engineer in Scunthorpe, where the company was building a huge steel-making plant for British Steel, and later working on bridges and roads within the development as a section engineer, Tom later moved to Northampton as a section engineer and, subsequently, chief engineer on a shopping centre. After working at McAlpine’s London office to gain experience in design work, mandatory in order to become a chartered engineer, Tom successfully sat his exam and became a Chartered Civil Engineer. He moved to Leeds to work on a large city centre project involving a huge shopping centre and a high rise office block, holding responsibility for the office block, which was completed in 1976. It was during his time at McAlpine’s that Tom met two people who would be instrumental in his next move. These men were another recent graduate Riad Kamal, and Colin Weekley, under whom he had worked in Scunthorpe and Northampton. “Riad had moved around the UK like me and had also achieved his ambition of being a chartered engineer. Then he decided to return to the Middle East, where he was from, and set up a construction company in a place called Dubai, where a building boom was about to happen as they had ‘oil money.’ He persuaded Colin to join him, which he did, and Arabtec Construction was formed,” Tom recalls. Asked about the main differences between working there and Ireland or the UK at that time, Tom says there were a “multitude” of differences. “First of all we were in a very hot climate, in a Muslim country with a totally different culture. Construction was totally different, with all labour and junior staff being of Asian origin, mostly Indian, with an approach to construction techniques that we would have considered well out of date,” he says. “We, therefore, had to breed a new construction culture by training them all in more modern methods technically, as well as health and safety. Standards had to be improved, but most were willing to learn and improve themselves and their work ethic. In those days, it was hard to get the right materials in the right time, and it was a hard slog,” he adds. Prior to Arabtec Construction completing paperwork and registration, allowing it to commence projects, Tom spent two years working on design and project management matters for big infrastructure projects in Dubai and other emirates for consulting group Halcrow International. Such projects included Jebel Ali Port, Khor Fakkan Harbour and other marine-type projects. Starting out as a project manager at Arabtec in early 1979, in charge of three projects, Tom became “involved progressively with all aspects of the construction company.” He became chief projects manager and deputy general manager, before taking on the role of general manager after Colin Weekley decided to leave and return to the UK. During the early 1980’s, Arabtec grew, building cold store projects in Dubai, Abu Dhabi and Muscat, as well as apartment buildings using an innovative formwork system called Tunnelform, which was later converted for use in building villas, which Arabtec excelled at in the 90’s and noughties. Tom reveals that Arabtec “barely survived” the severe depression in the construction sector around 1987, yet “things started booming for Arabtec after they won the Emirates Hangars project, which they successfully completed.” Arabtec was also very active in the oil and gas sector in Abu Dhabi at this time and was involved in a number of important projects offshore on Mubarras Island, Abu Dhabi. After being awarded the Emirates Hangars project in Dubai Airport, followed by numerous other prestigious projects in the ever-expanding Dubai Airport, Arabtec really started to take off in the mid-90’s, taking on its first real high rise building in Dubai, a 55-storey residential building. The company also started its Arabtec Living division, which exclusively built villa developments. When awarded, the Emirates Hangars Project was the biggest project ever awarded to a single contractor like Arabtec, and it was the springboard for our future success. “Having successfully completed such projects, our name and reputation for on-time delivery of a quality product became known and projects poured in. They ranged from high rise commercial and residential developments, hotels, villa developments involving thousands of villas, airport projects – in fact anything we could handle,” he says. As Arabtec expanded, so did Tom’s responsibilities, and alongside Riad Kamal, Arabtec initiated the process of getting certified to ISO 9001. With that Quality Management system in place, Arabtec started securing bigger projects and with a Board in place, Tom became Construction Director and General Manager in 2004. During this time, Emirates Palace was built, as well as the Address Hotel, the Fairmont Hotel and the Burj Khalifa. Riad Kamal, chairman and managing director at the time, decided that Arabtec should go public, which it did in late 2004 and was then quoted on the Dubai Stock Exchange in Dubai Financial Market. “Our share price tripled overnight and then went to a level of six times the initial price through the next 4 years. I became a Director of the Holding Company and Executive Director of Arabtec Construction. Then Riad Kamal, who became CEO of the Holding Company, whilst retaining his position as chairman of Arabtec Construction, decided to appoint me as CEO of Arabtec Construction in early 2009, a position I retained until I decided to retire in 2011,” he reveals. By 2007, Arabtec’s labour force rose to 52,000 people and it became the biggest employer in the region,” however the increase in staff numbers created huge logistical problems, as labour camps and transportation had to be able to the cope with the demand. “Burj Al Arab, too, is held in high esteem by Dubai and the world, and we are proud of the fact that we executed all the interior fit-outs of the public areas, restaurants, ballroom and spa,” he says. “Emirates Palace, which has the most fantastic and expensive finishes of any project in the world, is a project that is up among the best we have ever done. To be built in a very short time period, in time for the GCC Conference, was the contractual requirement that we signed up to and the joint venture that we were part of, again achieved this objective by working 24-7. A major achievement in the end and the finished product demonstrates this,” he comments. Arabtec’s reputation for completing projects on time and to a high quality level were instrumental in it being awarded such hugely iconic projects after it had satisfied the tendering requirements, he believes. When Tom semi-retired in 2011 and subsequently fully retired recently, Arabtec had around 25,000 employees across all its operations, Gulf wide. Although a far cry from the numbers in 2007 and 2008 when he was CEO, the construction boom was at its peak in Dubai and Abu Dhabi and all its resources were fully utilised there. In late 2008, the world crisis hit Dubai, resulting in many projects being stalled or cancelled. “We had to downsize our labour force quickly and diversify geographically on an urgent basis,” he recalls, as they explored and set up in other countries, winning projects and relocating staff. Arabtec is now established in Saudi Arabia, Qatar, Bahrain, Kuwait, Egypt and India and has also established a company in Pakistan. Arabtec continues to focus on the region, with the biggest of its projects being the Midfield Terminal for Abu Dhabi Airport, which has just commenced. Arabtec has a number of high rise building projects in Qatar, one of which is the World Trade Centre, and it is working on a large university building in Kuwait. In India, Arabtec is working on a residential complex with apartments and villas. In St Petersburg, Russia, Arabtec has been awarded the early or ground works for the ‘new’ Gazprom Building, having worked with them on the original tower and site, before the decision was made to change the location. Arabtec has offices in every country it works in. While its head office is located in Dubai, it has a branch office in Abu Dhabi, as well as offices in Doha, Jeddah, Riyadh, Kuwait, Bahrain, Cairo, New Delhi, Karachi and St Petersburg. Splitting his time between Dubai and Portugal, with frequent visits to Ireland where much of his family still live, including his mother, Tom is a lifelong and founder member of Emirates Golf Club and he enjoys playing some golf with friends and his wife Jacqui fairly regularly. With the severe downturn in construction in Ireland, graduates with a sense of survival are looking to Dubai and the Middle East as primary targets, he says, with Irish expats like himself willing to meet and try to help aspiring graduates and out-of-work Irishmen whenever necessary, while Enterprise Ireland and the Irish Business Network in Dubai are also available to help. Dubai has progressed to become a very modern and up-to-date place to do business, he believes, due to its convenience for travel, with Emirates Airline flying to all corners of the world in the most technically-advanced aircraft. As an industry veteran who helped spearhead Arabtec into becoming the biggest construction contractor in the UAE, what advice would he give to young Irish men or women who are at the helm of newer companies in the UAE? Click here to view the article as it appeared in Issue 2 of the Arab-Irish Journal. Next Frank Delaney fans, rejoice!